It's easy to forget — even for a Disney nerd like myself — that before Walt Disney died of lung cancer in December of 1966, EPCOT (the Experimental Prototype Community of Tomorrow) was supposed to be a real city. The code name "Project X" was given to the undertaking that would eventually become Walt Disney World, which today includes the Magic Kingdom, Epcot, Disney's Hollywood Studios and the Animal Kingdom parks. 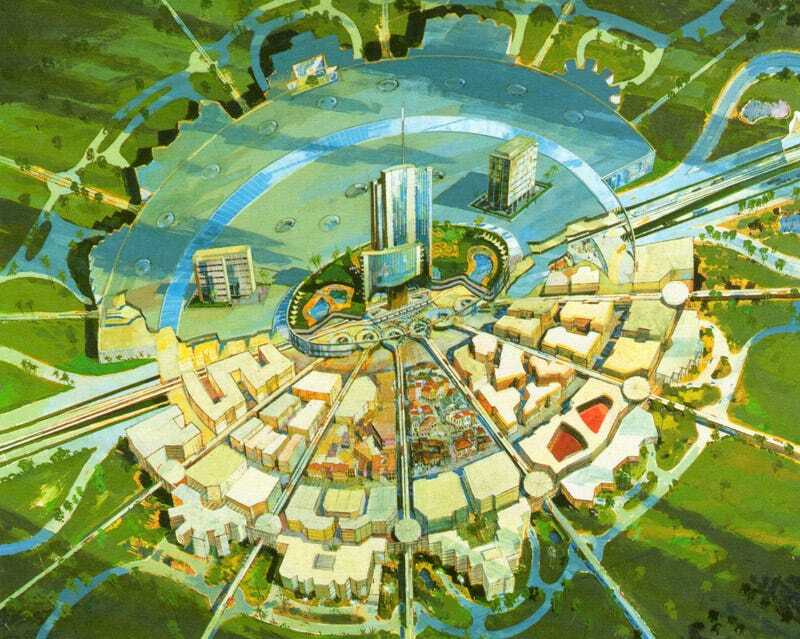 The illustration above is an aerial view of Project X, while the image below shows the thirty story hotel that was to be the centerpiece of the city of EPCOT. 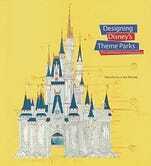 Both are from the excellent book Designing Disney's Theme Parks: The Architecture of Reassurance, edited by Karal Ann Marling.